One Word creates clarity, power, passion and life-change. The simple power of One Word is that it impacts all six dimensions of your life – mental, physical, emotional, relational, spiritual, and financial. Simply put, One Word sticks. There is a word meant for you and when you find it, live it, and share it, your life will become more rewarding and exciting than ever. 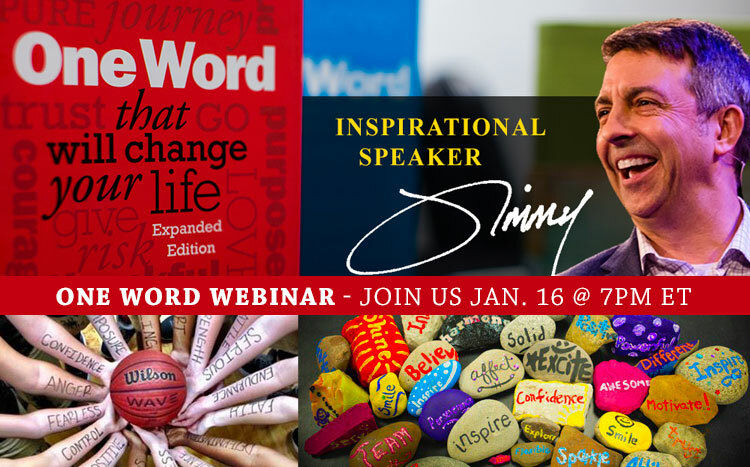 Enjoy this webinar lead by Jimmy Page and find your one word today.